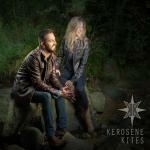 Sign up for Broadjam today to follow Kerosene Kites, and be notified when they upload new stuff or update their news! When two of Madison, Wisconsin's most prolific and driven songwriters combine forces, anything can happen. Erik brought this idea to the Kille/Kjelland songwriting table. On the long list of Erik's musical bucket list items is to write a soundtrack for a non-existent movie about the life of Charles Dellschau, an American folk artist whose cryptic drawings and scrapbook-style newspaper clippings were discovered collecting dust in an attic, long after he passed away in the 1920's. Dellschau's books were filled with detailed drawings of flying machines that were allegedly brainchilds of a secret Aero Club in California in the late 1800's, prior to the Wright Brothers first flight. In its core this song is about human fascination with going farther, being better, and flying higher. A collapsing house of cards inspired Beth to start this tune. She tossed the basic idea of the different "houses" (house of cards, house of glass, house of stone) at Erik who took the idea and ran with it. A few days after sending him the idea, Beth was on vacation with her family when she got a message from Erik saying that he played the song out at one of his shows....to which Beth replied "I didn't even know the song was done!" Even the most successful relationships go through phases where lovers drift apart, especially when personal struggles arise. This song is about reconnecting with the love of your life, remembering what made you fall in love with them in the first place and realizing you're meant to be together, through all of life's trials. 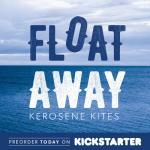 This is the first song ever co-written by the Kerosene Kites collaborators. It's based on the concept that people subtly (and sometimes not-so-subtly) start to sabotage relationships that aren't healthy, and eventually create enough reasons to get out. This tactic typically ends in disaster. Fortunately the song itself wasn't a disaster and Erik and Beth began a prolific co-writing journey. The beginning of a love story can be scary, with unknown discoveries around every corner. Fight or flight kicks in as you try to decide if this connection is truly meant to shine bright like a star in the night sky, or if it's doomed to create an eventual black hole of pain and sorrow and loneliness. Or just an illusion a shape in the clouds? Are we one constellation or are we all alone? What awaits these star-crossed souls? Will we ever know? How can we ever know? This song explores the ever-present problem of trying to live in the moment and be fully present with the ones you love the most. Musicians with families often find themselves "like two ships passing in the night" with their partners. The message of "Here and Now" is this: don't spend time worrying about the future or fretting about the past when you should just "be" with someone in the present. This song is basically a lullaby about a fight with a loved one. Relationships are hard mostly because humans can be stubborn and selfish. Compromise is the only way to keep love going, with constant bending from side to side in acts of empathy and selflessness. Arguments happen, and typically the surface issue that birthed the chaos is only a facade for what's really going on deep down. Sometimes the only way to heal is to dig to the heart of what's causing a strain and expose it, warts and all. Many songwriters keep a running list of potential song concepts, titles and lyrics that don't get fully fleshed out until inspiration strikes and time allows. Beth has family in Missouri and one of the exits she passes en route is called Kings Highway. The idea had been sitting in her notebook for many years and she finally approached Erik with it for one of their co-writes and this song was born! This is a sunny little tune about a fictional daredevil named Tommy who tries to beat a train across the tracks in his fast car, fails, and then dies in a ball of flames. 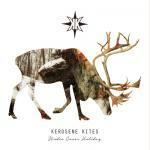 Despite the dark material the song was a blast to record when Kerosene Kites recruited hot shot Kenny Leiser (of Wheelhouse) to tear it up on the fiddle and Gabe Burdulis (of Future Stuff and Gabe Burdulis Band) on electric guitar. The result was one of the most scorching tracks on the record (pun intended). You know you gotta change." Beth started writing a tune called "Who can save me from this town" but Erik came up with a more empowering twist to the concept and changed the hook to "I wanna save this town." Sometimes songs are deeply personal, and sometimes they are meant to be a statement to a larger audience. This song is sort of the latter, a "hang in there" cat poster, so to speak. A better tomorrow is certainly something to hope for, but there's not always a clear direction for how best to achieve this goal with real actions. What's that appearing on the skyline? Is it the dawning of a better time? This song was inspired by images of childhood memories and lazy days on the sunny beaches that get us through the Wisconsin winters. Beth wrote this tune as part of a challenge put out to a group of women across the country to try to write a tune every other week for the year of 2017. She recorded it just to share with the songwriting group but after hearing the initial result, she tossed it to KK bassist Art Ranney to see if he could add something to it. After Art laid his part down the song started to take on a new dimension so she shared it with Erik to see what he thought about putting on the record. Erik added his voice and it ended up becoming track 11!